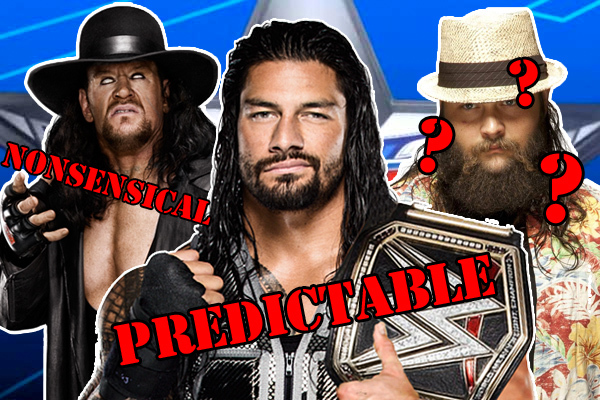 Is Vince the only man in the world that doesn't know no one wants Roman Reigns to win? Hopefully this one will be explained in the coming weeks, but WWE have already messed up one glaring opportunity to do so. 'Taker turned up to RAW a few weeks ago and cut a promo that was shorter than his entrance. He told us all things that we already knew, while he also seemed to confuse Vince McMahon. 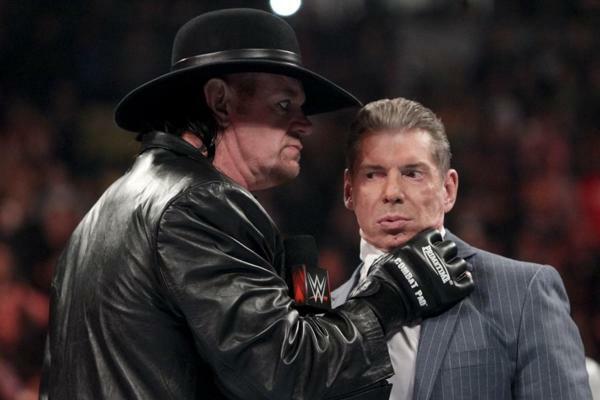 The Deadman told Vince that Shane's blood would be on his hands - sure Vince wants that as he booked the match? Vince went on to say that Shane would fail him as a son if he wasn't to win the Hell in a Cell match - which doesn't make any sense because if Shane does win, Vince will be out of a job and his favourite child won't have control of Monday Night RAW anymore. Surely McMahon senior wants junior to lose? Then this week, Taker turned up and still didn't explain why he is doing what he is doing. He attacked Shane, and then tried to attack Vince... We still don't know why 'Taker is fighting on behalf of Vince McMahon. It seems that McMahon just asked his favourite Phenom if he fancied a match with his son, and he said sure, why not? This storyline currently makes absolutely no sense and needs cleared up as soon as possible.